The $250 Sonos Play:1 Tone is very subtly different from the original Play:1, but unlike the Blue Note Play:1, it has no tie-in with a record label. Sonos announced today that it will be offering a second limited-edition model of its stellar Play:1 speaker. The Play:1 Tone will feature a monochromatic soft-touch finish in your choice of black-on-black or white-on-white, and buyers will be limited to purchasing up to two. Being a private company, Sonos has always been tight-lipped when it comes to revealing the size of its installed base, but the fact that a production run of 5000 units in each color qualifies as a limited edition speaks volumes about how successful the company has been in the multi-room audio space. As with its first limited-edition speaker series, the Blue Note Play:1, the Play:1 Tone is internally identical to the ordinary Play:1—all three speakers use the same drivers, the same amplifier, and the same DAC. The only differences between the three are the exterior finishes. The Blue Note Play:1 had a distinctively different finish and a great tie-in with Blue Note Records; plus, Sonos offered a limited-time Blue Note radio station that let buyers listen to artist-curated selections from such jazz greats as Robert Glasper, Terence Blanchard, and Blue Note president Don Was. 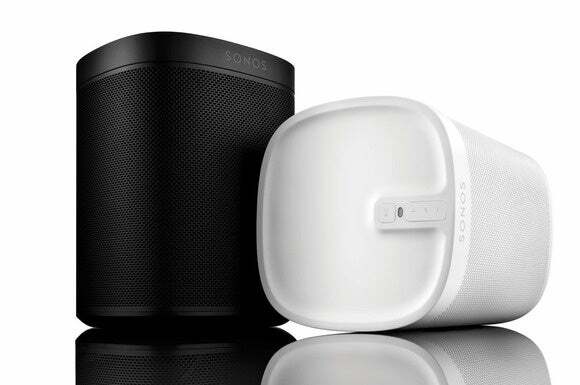 The two-tone Play:1 is $200 and delivers the exact same performance as the monochromatic Play:1 Tone, but Sonos is nonetheless charging more for the Play:1 Tone—$250, to be exact. The company says its Blue Note edition speakers sold out within hours, and it expects demand for the Play:1 Tone to be equally high when it goes on sale at 10:00 a.m. PDT on July 21. (Interested buyers can provide their email addresses on this page for an alert when the speaker becomes available).